Take out your dancing shoes and get ready to party in your bloc in MTV style. Yes! MTV’s Bloc Party is back and this time the mantra is “The MORE, The BETTER”. This year, MTV takes the Bloc Party national with a twelve city tour, which means - MORE CITIES, MORE BLOCS, MORE PARTIES, MORE MUSIC, MORE BOOM and definitely MORE BANG! It’s that kind of party where you don’t have to go out, the party comes to you, right at home in your own bloc! So invite MTV to party in your bloc as it returns with the second edition of Karbonn Smart MTV BLOC PARTY. This year, the 2-day music sensation, Karbonn Smart MTV Bloc Party will be hosted by Nikhil Chinapa and will have the best of International DJs and Indian EDM artists spinning music across all electronic genres like dubstep, trap, progressive, deephouse and much much more. Extravagant soirees with the world’s best DJs and massive night parties spread out across the whole bloc would surely be a delight for the dance music fans in the city. The MTV Bloc Party wrist-band will allow the party hoppers access to all the night parties happening in the bloc and club-hop with MTV’s hop-on-hop-off Bloc Party cabs that will ferry revelers across venues to ensure seamless transition. But, which city and which bloc will host the Karbonn Smart MTV Bloc Party this year? – MTV has an interesting take on that. This year, to find the perfect location for the coolest party ever, MTV will be traveling to different blocs across 12 cities such as Mumbai, Delhi, Ahmedabad, Jaipur, Kolkata, Chandigarh, Pune, Bangalore, Hyderabad, Indore, Lucknow and Ranchi. Through the month of February, these cities will be dancing away to the crazy music by the most exciting names from the world of Electronic Dance Music (EDM) including the likes of Nucleya, Nawed Khan, Lost Stories, DJ Sa, Rohit Barker, Tuhin Mehta, DJ Inferno, Folic State, Qwiver, Bajje Squad, Ez Riser. And, the exact address of the 2-day music sensation Karbonn Smart MTV Bloc Party will be announced post that. So, India, get ready to put on your dancing shoes to impress MTV and call MTV’s Bloc Party to your bloc. In its first edition, MTV Bloc Party created the longest running party with twenty hours of dance music set smack down right in the heart of the part capital, Mumbai. One ticket that provided access to multiple parties in a single bloc - in Juhu - set the whole city dancing right by the sea. Headlining at the event were none other than DJ Alesso, ranked amongst the top 20 DJs in the world and named as the DJ to watch out for by MTV International. Also performing live were Deniz Koyu, Jean Elan, Cosmo Klein, Simon Dusmore and Shovel amongst others. With 20 crazy scouting pre-parties across 12 cities, get ready to party all through the month of February in the biggest party-off of sorts India has ever witnessed. Show MTV why your bloc makes for the perfect venue for Karbonn Smart MTV Bloc Party, and you may just impress the team to bring it to your city and your bloc. 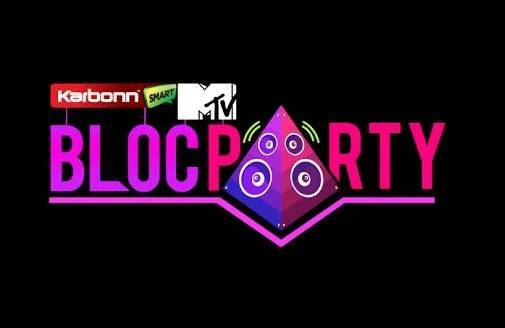 Karbonn Smart MTV Bloc Party Pre-parties begin from 7th February and will go on through the next few months. So what’re you waiting for? Party your heart out to ensure the biggest party of the year lands up in your bloc. MTV touches new musical heights, this World Music Day!